As a manufacturer, you want to focus on expanding your business, not on ensuring your technology works for you. 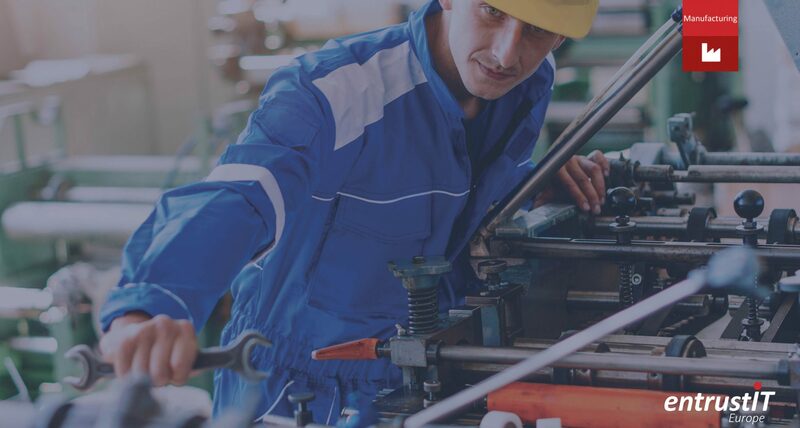 That’s why entrustIT provide a flexible manufacturing IT strategy that works for manufacturers – providing them with a number of crucial technology options all rolled into one package. What’s more, with a local support package, you can relax in the knowledge that your equipment will be maintained by one of our engineers and will be fixed should it fail. As part of your package, we will conduct an audit of your site infrastructure and make technology recommendations based on your requirements. We can supply and install any PCs that you require. entrustIT can supply your business with state-of-the-art wireless solutions. Using a Ruckus® wireless system, we can ensure the signal from your internet router is amplified to cover your entire factory, so your people can stay connected wherever they happen to be on your premises. Using VoIP (Voice over Internet Protocol) phones, you can make phone calls over the internet. The feature rich solution requires no complex installation and increases mobility by allowing staff to work from the office, home or abroad. Your organisation gains best in class telephony and can save up to 50% on calls when compared with BT tariffs. Cloud CCTV is a monitoring and recording service suitable for organisations of any size. All you need is an internet connection, an IP network camera and a subscription from entrust. We can help you set the cameras up, too. Once your cameras are connected to your network, you can view them at any time. Cameras can also be added and removed on the fly.